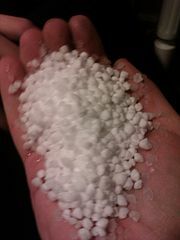 It’s freezing in Los Angeles and we have something called graupel (which fascinates me no end). Graupel is essentially a snowflake wrapped in ice. The nouvelle cuisine of weather. So L.A. Anyway, as you can see, I changed the theme again. The grey was too cold. This is like hot chocolate.